This was inspired by an art challenge on Equestria Daily a while back. The theme was drawing a pony dancing. 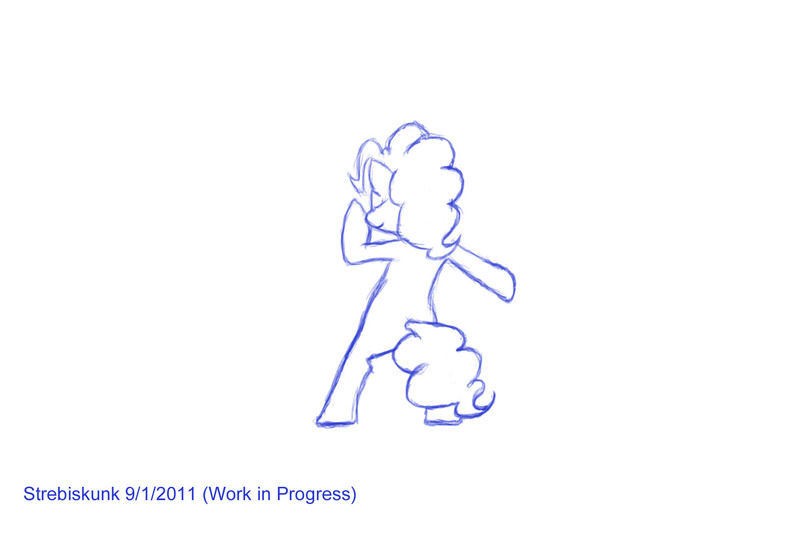 For some reason, I thought of Pinkie Pie dancing like Michael Jackson, and this was the result. Again, this is just a rough sketch. I'll move it to scraps when the final version is done.